Although it is a down year for basketball in the Big Apple, being the best player in New York is still an honor. This year, the honor belongs to Jabarie Hinds. 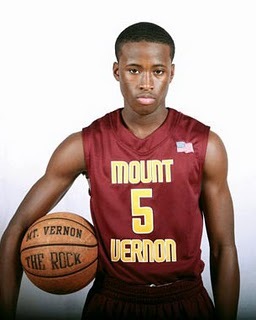 The 5-foot-11 point guard from Mount Vernon (N.Y.) has seen a host of schools get involved in his recruitment over the past few months, and he decided to take the first step towards reaching a decision by trimming his list to seven on Tuesday. Hinds has narrowed it down to Oklahoma State, UNLV, Wake Forest, West Virginia, Connecticut, Cincinnati and Miami (Fl.). At this point, the only schools that are locks to get visits are Oklahoma State and UNLV, but he insists they are not the frontrunners. “Nah, not favorites,” Hinds said.